One of the easiest major modifications you can make to your bike is to change your tires. Just by changing your tires you alter how well your bike will handle in any given terrain. You can make a general mountain bike into a great mud-shredder or turn your trail-only ride into something you could ride with the kids at the park. Tires are just that important to what a bike can be used for. These are some of the best mountain bike tires in the market today. Each one has its best uses, its downsides and its fans. I’ll be looking at the tread, what most people use them for, durability and a few other characteristics. The best mountain bike tires 2018 are right here. Handling and Riding: On-Road ...and Off! Tread style is possibility the most important characteristic of any given tire. It determines what kinds of riding the tire is best for. In general, the smaller the tread, the better the tire is on a road. The more rugged treads are better for off-road riding. The tread is mostly the same, all over the working surface of the tire. This means that the tire offers some grip while jumping or trick riding. The shallowness of the tread means that this tire doesn’t offer much grip in heavy mud. The deep, aggressive tread on these tires is designed to handle rough, rugged trails with easy grace. They have deep horizontal grooves and ridges to offer plenty of grip. The edge of the tire has long, spiky nubs to help dig even more into the mud and gravel. These are directional tires. The chevron tread is supposed to point in the direction of travel. 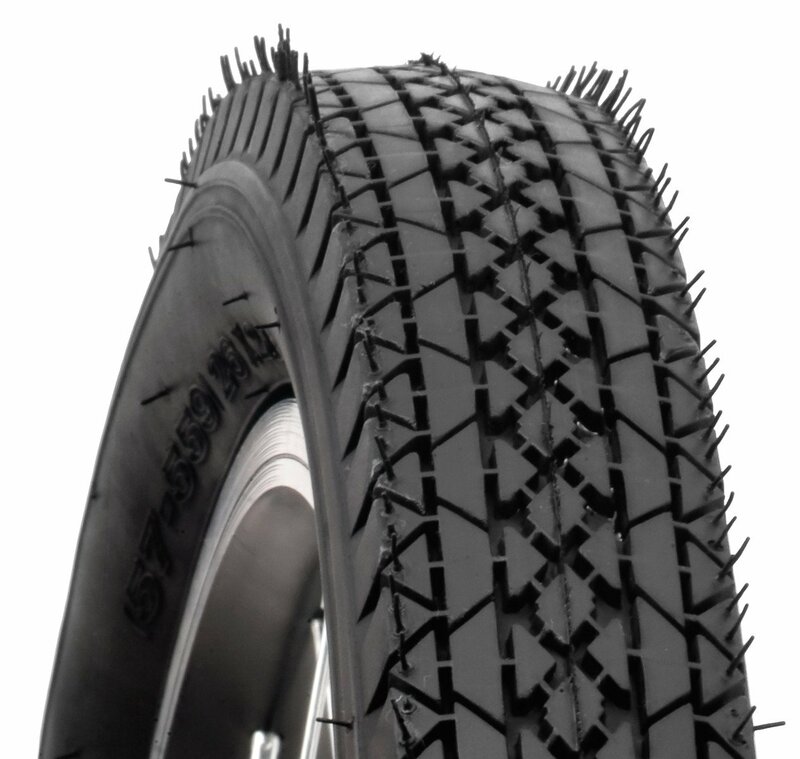 Another directional tire, the 2.10 Blackskin is a slightly wider version of the 1.95 tire. The tread is somewhat optimized for use as a rear tire with the 1.95 tire. Thick ridges and chevron shapes are central. Thick nubs are placed at each edge. These are tires that feature consistent, shallow tread all over the usable surface of the tire. The center nubs are smooth on the surface. The edge nubs have a slight amount of surface texture. These are tires designed to offer security on surfaces that a typical casual rider might encounter. A wide cruiser tire, the Comfort 2.12 inch tire doesn’t so much have tread as it does have a square shaped edge. This is a traditional fat cruiser tire with a flat profile. Tread is basic and shallow. It looks more like a small car’s tire than most bike tires do. These tires rely on their size to provide grip on most surfaces. These are classic hard-wearing mountain bike tires. The aggressive tread and Kevlar lining is meant to give you plenty of confidence while out riding the back forty. The tread is a generalize use style with a medium depth at the center, deepening as it approaches the edges. This is a tire that has real race cred! The tire is designed to roll fast in loose material such as gravel, twigs or unevenly packed dirt. 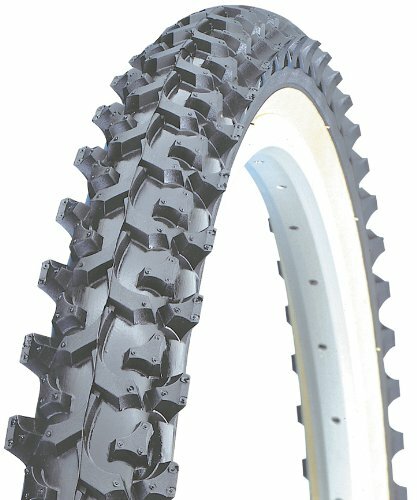 The tread is a medium depth, perfect for cycle cross sports. The squared nubs are widely spaced, to quickly and efficiently shed mud and other debris. Smooth and durable are two words I’d use to describe these tires. These are not dedicated mountain tires with big nubs. Instead, the tread provides a flat, smoother surface for people looking for a tire for urban and casual rural rides. A tire that comes in front and back styles is preferred by many serious riders. The WTB VelociRaptor is such a tire. The front tread is optimized for handling and control. The rear tread is optimized for better power, control and mud shedding. Differences in the tread changes how a tire responds to surfaces. These changes can affect how your bike will handle in a give situation. We all know how important handling is! These general-use tires are designed to be good at nearly everything, but not great at any one thing. The shallow tread means that the bike will have some grip in mud and water, but not so much as to be reliable in the back country. They will ride OK in the streets, but not as smoothly or as easily as a street tire. These are aggressive tires for aggressive trail riding. The 1.95 inch width is versatile, and friendly to many styles of mountain biking. If ridden on pavement or similar smooth surfaces, the tire will be somewhat wobbly and sluggish. It’s still possible, but will need more effort. Some users found these tires tricky on smooth, wet rock surfaces as well. Most users rode off-road, on trails and unfinished surfaces. These are just the kinds of rides these tires are made to handle best! 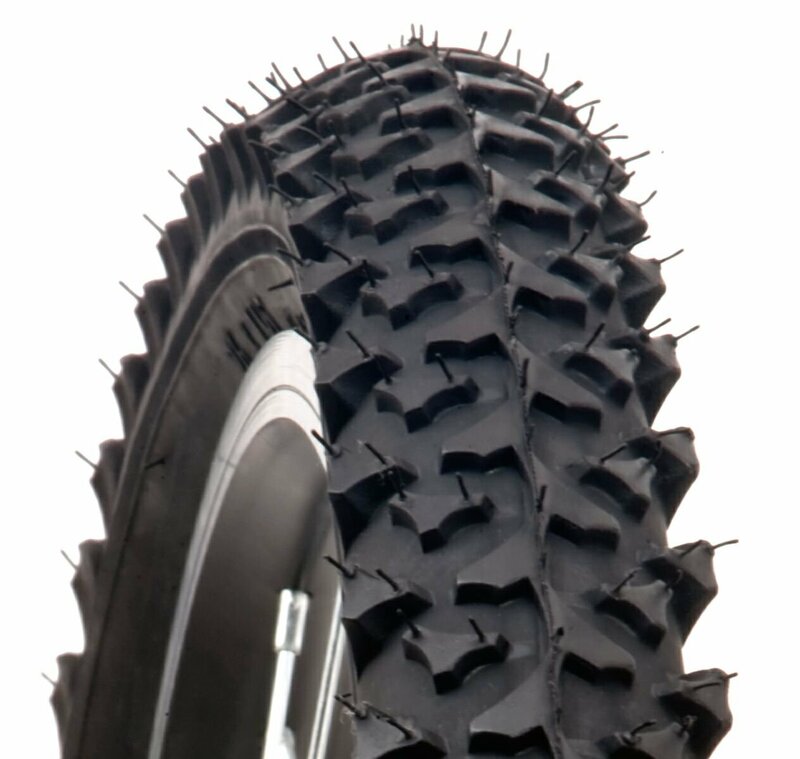 The tire design gives plenty of grip in several inches of mud and in crushed gravel. Road users might need to ride with higher pressure or risk loss of momentum and extra wear on the tread. These are tires designed for a riding style that is popular with those who ride the bikes Schwinn is famous for, those cruisers! 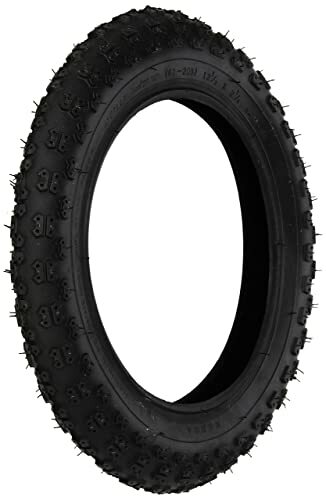 The regular, but shallow, tread means that these tires will roll easily on pavement and hard packed surfaces while inflated to a fairly low psi. These big tires will absorb most bumps and other pavement irregularities so well you won’t feel them. What they won’t do is turn on a dime. They also might feel a little slow when you are first starting to pedal or stop. These types of tires are generally run under low pressure, which decreases handling. These are general use tires. You will be able to ride safely with these on the front or back wheel on all but the worst of trails. The Kevlar lining makes them a bit heavy, expect a slower start and stop but plenty of rolling momentum! These tire come in several styles, each with its own strengths and uses. This means that you can easily pick a tire that can be used at different pressures for different riding conditions and styles. This versatility also means that each style handles somewhat differently. In general, you will find that these tires are responsive to your touch without sacrificing handling or control on the track. A great tire for converting an old hardtail into a city-friendly ride that can still handle cracked roads, the Continental has a squared profile and tough materials. If you are riding on rougher urban surfaces, you will enjoy the cushion of this fatter tire without loss of control. 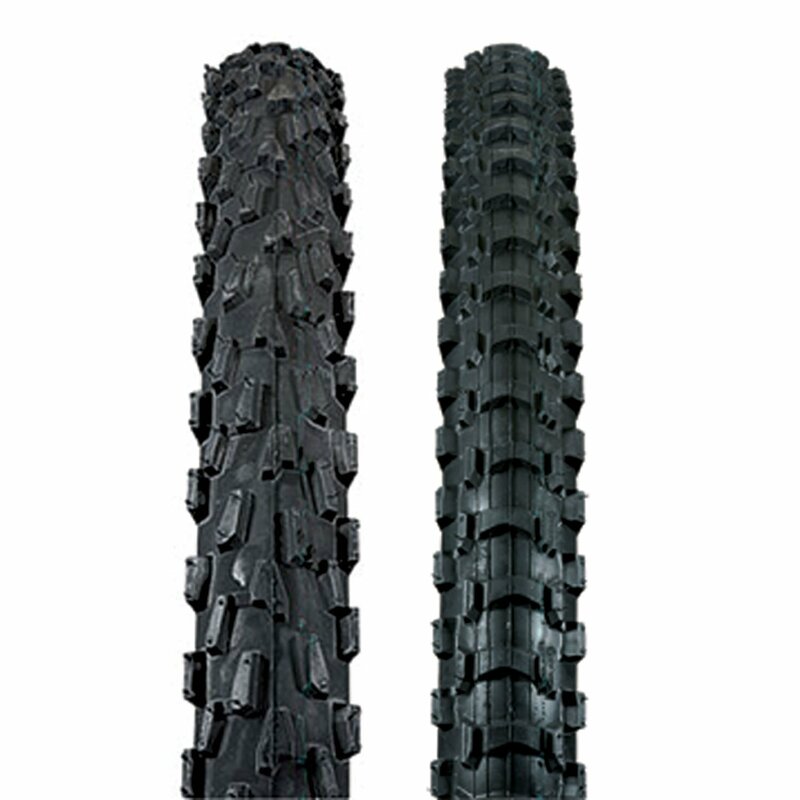 Riders who use the WTB VelociRaptor set will notice that they will have improved handling in deeper mud and debris than some other tires offer. These tires are designed to give a back country rider the handling and control that is the difference between a great ride and a trip to the ER. We all want get a great value for our hard-earned cash. A durable tire will last longer. Sometimes we can even help a tire live a little longer by changing psi. Most users find that this tire gives plenty of value for the money spent. People find that these tires hold up well to regular in-town riding and trail riding. One user reports his set of tires has lasted him well over seven years! He only replaced them due to some dry rot after sitting unused for a few years. Users will find that using the proper tire pressure helps to extend their useful life. Use a psi around 40-50 for off-road trails. Use a higher psi of 60 when riding on pavement or hard rock. Like the 1.95 Inch Blackskin, the 2.10 is noted for being pretty durable for an inexpensive tire. Use the proper tire pressure and avoid lots of paved road use to extend its lifespan. Kevlar makes these a fine choice for those of us who want a bike that is reliable enough to commute to work every day with. These tires are designed to hold up well in an environment that includes glass shards and thorns that can puncture typical tires. Users find these tires to be very durable. Whether they were used on converted mountain bikes, tricycles, electrical-assist bikes or regular cruisers, these big tires hold up to abuse. They also look great. I really don’t know what else you’d want for the money! Schwinn is known for a good product. These are tires that make a fine example of why Schwinn quality is well known. These tires hold up to cracked and un-even streets, rocky off-road rides and jagged ice on a winter road. 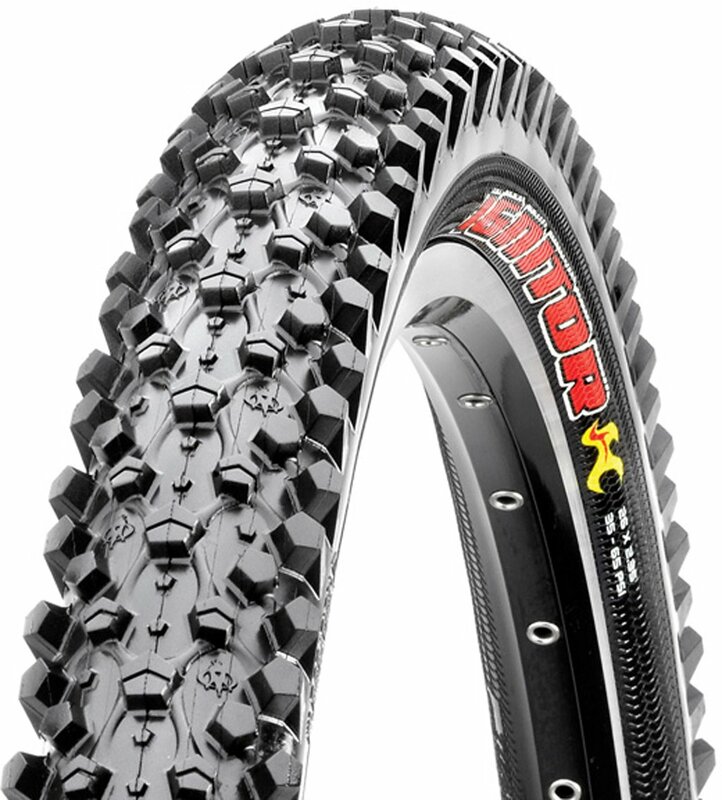 As a mid-price point tire, the Ignitor is often a choice for those who ride more often than most. These tires are about average in durability. They are intended for racing, which means that they are not heavily made or lined with anti-puncture material such as Kevlar. Riding these off-road tires on pavement will also wear them out quickly. This is a long-lived tire. People report using this tire in a number of environments and under different stresses for years at a time. The rubber is nice and hard wearing, much like tires sold to serious commuters at higher prices. These tires have a thinner side wall with a reinforced tread section. This combination is intended to give you both lightweight tires and durability. Mostly, it succeeds. Riding on pavement at any psi isn’t recommended though, the tread will wear out quickly. Each tire design has certain strengths and weakness. The trick is to pick the one that has weakness that won’t bother you. These are basic on and off-road BMX tires. They are sold in a number of eye-catching colors to compliment your bike’s paint scheme. You can even get this tire with gum walls, for a retro look! These are a great budget friendly option for parents looking to replace worn out kid’s tires or for a general use BMX bike for someone a bit older. These are great trail tires. While some users rode them on every surface, the aggressive tread and long nubs will make for a some-what rough and inefficient in-town ride. Use these tires on a bike that will see plenty of rough trails and dirt riding. While not everyone will think these cheap tires are the best mountain bike tires ever made, I, for one, am not so sure. They are great! These are a great choice for a dedicated trail bike that you won’t be riding full tilt downhill. While sized right for downhill riding, these tires lack the puncture resistance of higher-end downhill tires. These are not tires for serious off-road riding. These are the tires you’d get to throw on a mountain bike you want to ride around town on. If you are considering such a conversion yourself, these are great tires if you are on a budget! They have just enough tread to make them suitable for well-kept gravel roads while still rolling well on pavement. Again, these aren’t off-road tires. 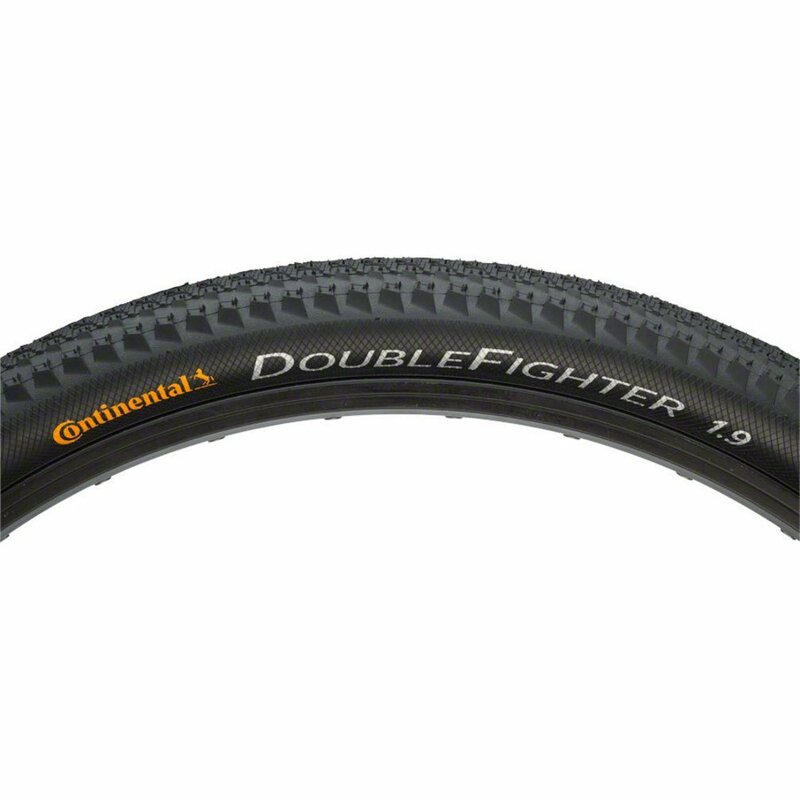 They are great commuter-conversion tires for a mountain bike or replacement cruiser tires. Since these are bigger than most tires, you will need to check your frame and fenders to make sure the tires will easily fit. Not every bike will take tires this big! If you are unsure how to measure, take your bike to a professional who can help you. Schwinn Tires: MTB Tires with Kevlar If you need a tire that can take a pounding and still hold air while not breaking the bank, this is the tire for you. These off-road Schwinn tires are great for any riding that isn’t dedicated downhill riding. The aggressive tread and hard-wearing rubber are a great combination for rough riders. These are not really a tire for someone who wants something that will last them indefinitely. Their somewhat light, race-friendly construction and softer rubber will wear out quickly if rode anywhere paved, unlike most mountain bike tires. You will also notice heavy drag on pavement. Yet, these are great tires, for a dedicated cross bike or mountain bike! 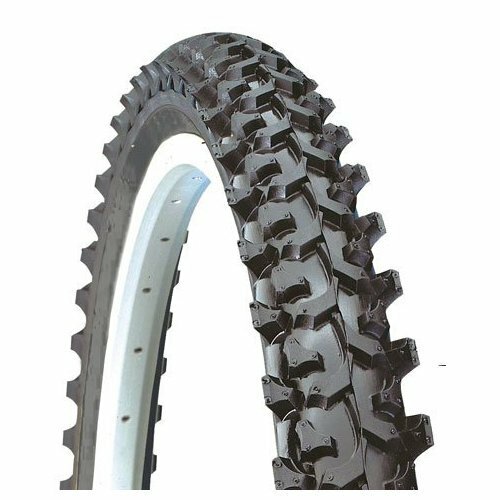 If you are looking for a general use tire on a bike that will see rough surfaces, plenty of gravel, some mud or snow and other hazards then this very well may be the perfect tire for you. While it will probably not serve as dedicated mountain bike tire well, it will make most riders very happy, no matter where they are riding. These tires are great for riding trails, for riding in mud and exploring new areas without a real trail. They aren’t recommended for pavement, you will kill yourself trying to pedal! You might also want to use different tires if you are riding in a rocky region often. We all know how important mountain bike tires reviews from many users are when looking for a great product. Only by seeing what a lot of people are saying about a tire can you get an impression of how the tire might perform for you. I went and read a lot of mountain bike tires reviews so you wouldn’t have to, so take a look. Most users are using these tires for children’s bikes or a cheap replacement tire for casual use BMX bikes. Nearly every user is pleased with these tires. This is a well-loved budget friendly replacement tire. Several users remarked that this tire was a preferred choice for their front wheels. Other used them both front and back. Users were pleased with these tires. They hold up to reasonable abuse and regular adventures on rough trails. For the price, it’s hard to get a better tire! Most users bought these tires to convert a favorite mountain bike to something easily ridden over smooth streets. Well, smooth streets that often feature debris not often seen in the woods, stuff like plastic or glass that can cut up a tire without Kevlar. Like most good commuter-style tires, they are a bit heavier than you’d think. Nearly every user is completely satisfied. The squared off edge of the tire has a good, classical look that looks sharp on either a classic cruiser or a hard tail mountain bike. 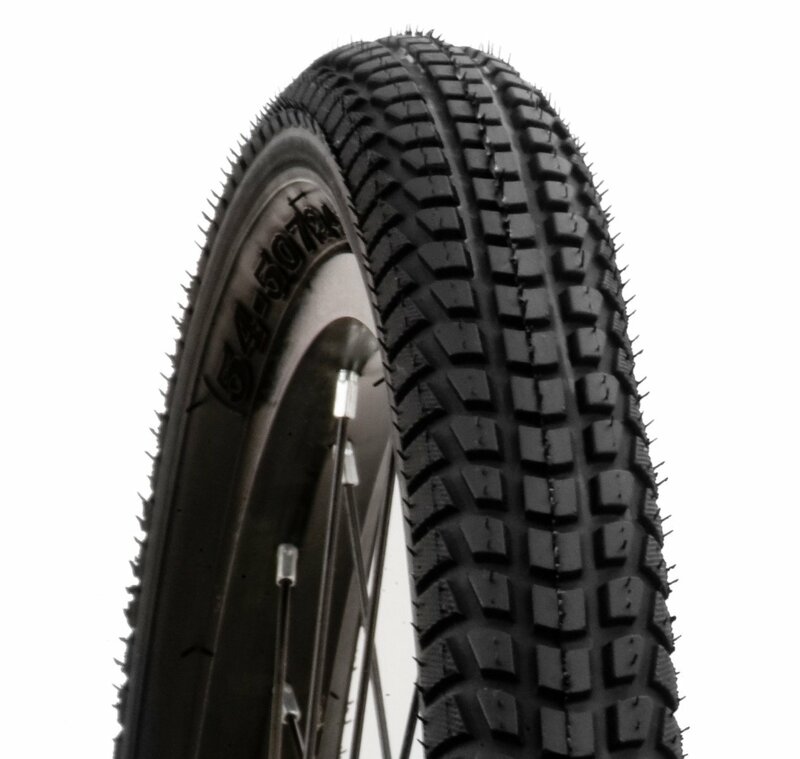 Most users use these tires on urban riders, but a few did use them with great results on dirt roads, hard gravel paths and snow. That square edge is good for more than just looks! I was surprised how many users selected these tires for winter-friendly commuter bikes. Commuters need a tire that won’t fail. Winter riding is very hard on a tire. To me, that just drives home the point that these rather inexpensive tires are the real deal. If someone whose job is at stake trusts these tires to work right, every time, I’m sure I can as well! Racers love these tires. People looking for greater handling and speed in turns love these tires. People looking for a tire that they can play in the mountains with one weekend but ride bike paths with the kids the next weekend did not like these tires as much. This is another well-loved tire. Users tend to be those who like their bikes to be able to handle many different terrains. Users who want a dedicated mountain bike for the trails tended to prefer other tires. People like these tires. They last forever, if ridden on trails only, and work well in many conditions. They are relatively inexpensive. But they are heavier than other tires in their class. They aren’t a great choice for riders who may want to race. I must say that picking the best out of this collection of tires is practically impossible. See, I’m the kind of rider who has several sets of tires that I can swap around, depending on what I want to use that particular bike for on that day. 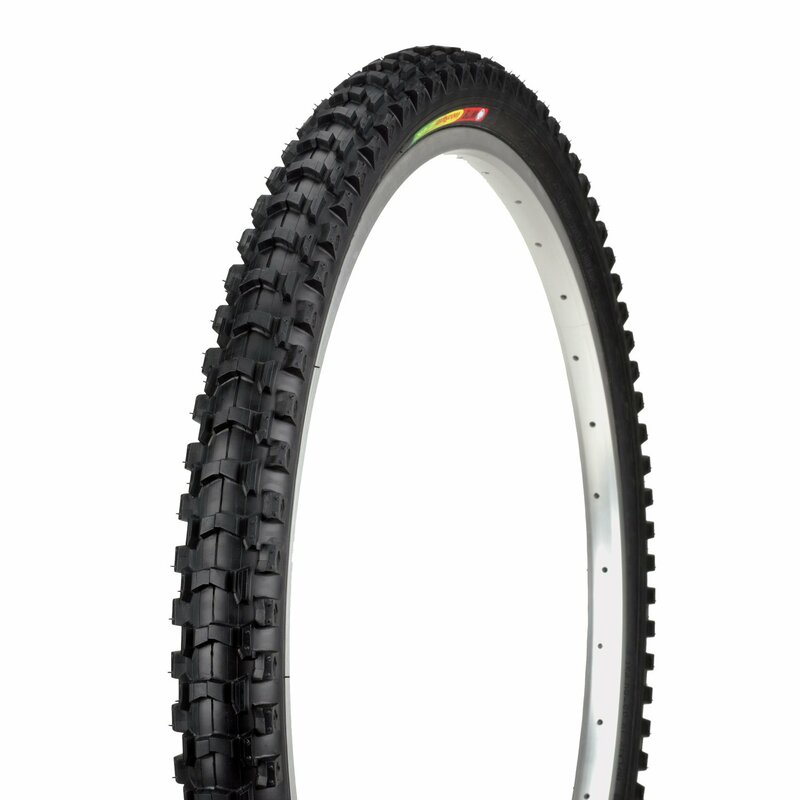 I see candidates for a best conversion tire, for racing and for regular mountain riding. Let me explain. Most of us don’t want to own a huge stable of bikes. It’s expensive and takes up a lot of space. A better option for most people is to simply switch wheel-sets or just the tires from time to time as their needs change. It’s better space-wise and far easier on the wallet! If I wanted to race my bike, hands down, I’d choose the Maxxis Ignitor. These tires are designed to give you a leg up on the track, with a lightweight build that won’t slow you down. The tread design is optimized for extra grip in a corner to give you a bit more control when you need it most. Racing can be expensive, so the price point is also quite nice. I know I always end up at the park or zipping around town on my bike on a nice day. What I don’t want to do is ruin my good tires doing it! Have you ever ridden on fat, smooth tires on pavement? It’s a treat. If you need a good around town bike, put a set of Schwinn Cruiser Comfort 2.12 tires on an old hardtail! The fat, square look will complement your bike while giving you a Cadillac ride. I’ve saved the best tire for last. If I wanted the best mountain biking tire for riding for fun on the weekends, I’d pick the Kenda 2.10 inch Blackskin. I prefer a wider tire on my bikes, I get fewer pinch flats. You might prefer a thinner tire, if you do, go with the Kenda Blackskin. Why these two tires? First, the price is great for the value. Kenda is noted for making a very good tire at a reasonable price. They are long-lasting, even if you sometimes take them into town. I like to spend money on my hobby, but I also don’t want to spend every dime on the tires, if you know what I mean! The Blackskins offer the right tread design to handle most kinds of obstacles you will encounter while riding in a natural environment. Small sticks, big chucks of wood, rutted mud, loose gravel and even streams are what you will be up against. The Blackskin tires will handle it all, with aplomb. These are perhaps the best mountain bike tires of 2018.